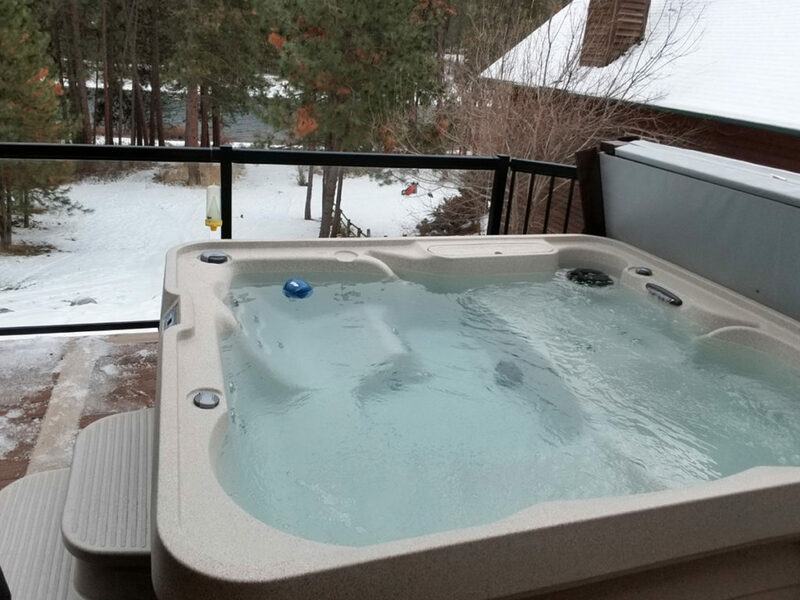 This beautiful hot tub has been delivered in the Post Falls area overlooking the river. FreeFlow Excursion Hot Tub is perfect for seating 5 adults in 290 gallons of warm swirling water. It features 25 jets that relieve-tension in targeted areas. It’s the perfect hot tub for entertaining family and friends. Take the time to sit back and relax in the lounge seat. Jets in the lounge will target the back and calves which will help you feel rejuvenated! Freeflow Spas are ideal for areas where you are looking for a Plug-N-Play technology. Since this unit doesn’t require the traditional wiring, it means that installation and set up is a breeze. All you need is a 110v outlet. If you are interested in seeing more information on a hot tub please visit our Hot Tubs Page.